Perfect for families & business travelers alike. Walk to Grocery Store. Professionally decorated including a 52 inch HD television. Complete with a full size washer and dryer, linens, towels, dishware, cookware and utensils. Questions? Give Us A Call We Love to Help. We had a great week and the condo was a perfect place to "come home to" each evening after a full day of being out and about. We also loved that it was so close to everything we wanted to do. If we ever make it back to Orlando we'll be staying here again! OVH360 was very easy to deal with, and the condo was as nice or nicer than we expected. We will do business with them again. Great place to stay. We will be coming back again. It was close to everything we wanted to go to. It"s been a long time since we had a self catering holiday and didn't know what to expect. The new part of Vista Cay is great and put apartment was really nice. Lots of space and three big bedrooms. The kitchen had everything you want and it was great to have a washer and a dryer. 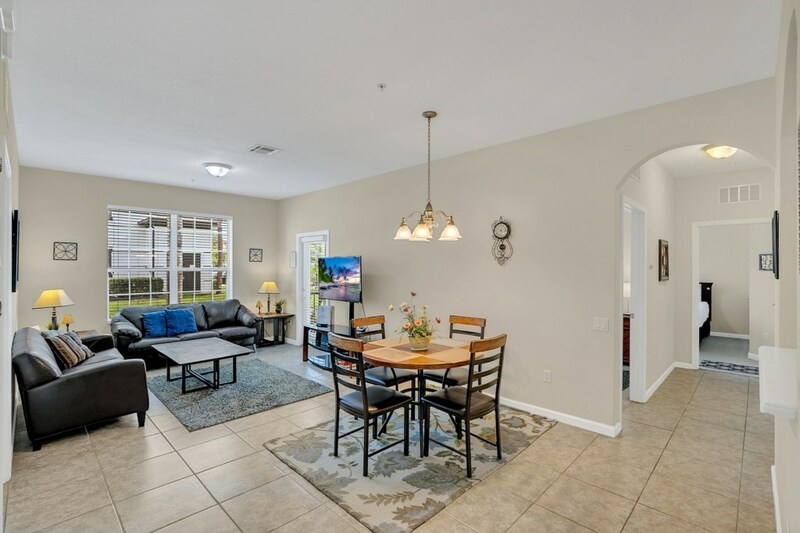 This is an ideal place as its right by Universal studios the Orlando eye and lots of shops. Disney is only a short drive away. There is a Public supermarket right next door. A bit pricey but great if you want to cater for yourself and not go to far. The pool on site is great and really clean. There is a nice walk around the lake at the back which we walked our two dogs around a few times a day. There are gators in there so keep them in mind and lock the gate in and out. Absolutely great!!! We had three boys at 14, 9, and 6 along with my mother, wife, and myself staying and had tons of room for all of us. Everything we needed was there except for groceries that we could buy at the store right outside the gates of the community. We were minutes from all Seaworld and Universal attractions. 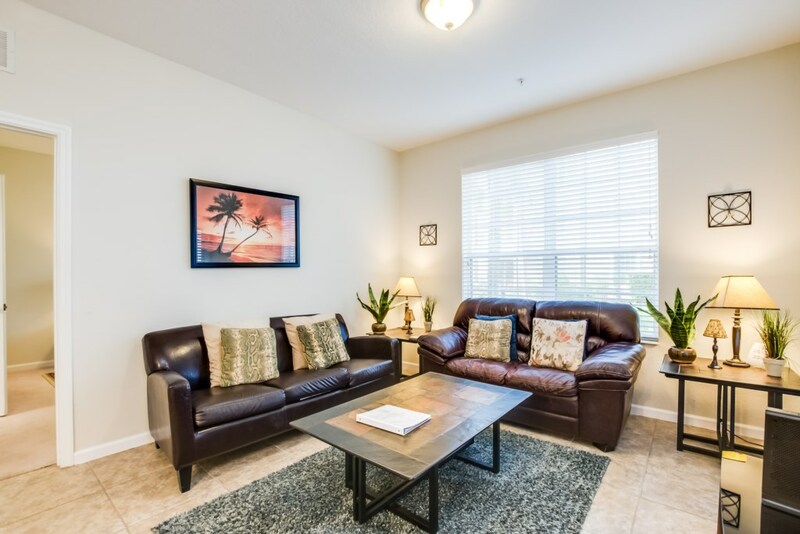 We would spend the morning at the parks, relax and eat at the condo during the hot and busy part of the day, and then head back to the parks for more fun the rest of the night. I would recommend the Flex tickets you can purchase from the discount ticket company they supply you with because they were the cheapest I could get the tickets for and you can jump to any of the parks and only pay parking once a day. Thank you Gary for everything. We will for sure be staying with you again. 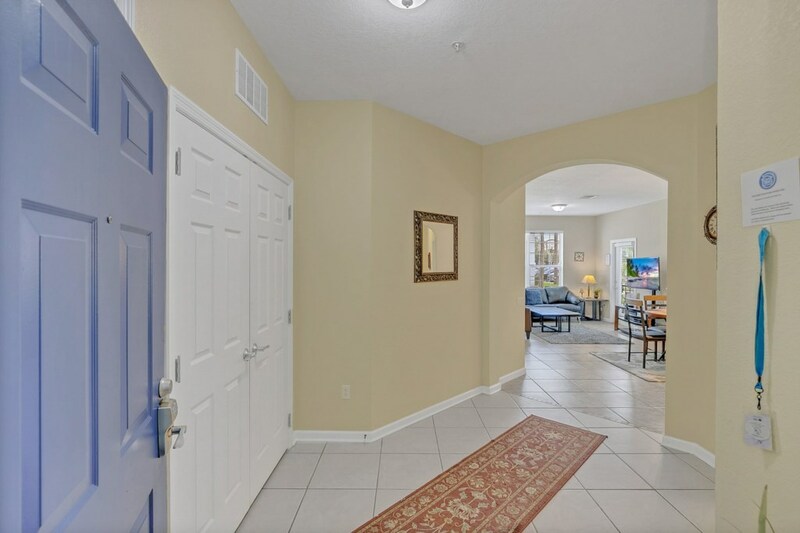 We stayed at quite a few condos in the Orlando area and the Vista Cay is by far the best. When we first arrived there from the airport, and arrived at the Vista Cay, it was like those entering one of the famous homes like the ones on television..lol. You had to enter a code at the gate and it would open up slowly, you knew then that your vacation had just begun. The condo was spacious, it looked and smelled clean. The beds there were so very comfortable. The location was close to all of the major attractions. Gary was always available to assist us with whatever services was needed. I was also impressed with the literature, "how to" information, telephone numbers and maps to read at your leisure. The full kitchen, the dish washer, wifi service, washer and dryer there was a definite plus. We were there for a week and this place was like a home away from home for sure. Thanks again Gary! Our stay at vista cay was great.Situated by all the theme parks. Full kitchen and washer and dryer.Will stay here again. Loved it. Great place close to everything really nice setup.